Articles Speakers CornerWould you be prepared to give up your free TV Licence? Would you be prepared to give up your free TV Licence? The BBC has announced that it is planning to bring in some “Silver Celebrities” in a campaign to encourage people aged over 75 to give up their free TV licences. The BBC are exploring ways to encourage elderly viewers and listeners to consider paying the annual £145.50 charge on a voluntary basis. They are considering bringing in celebrities such as Sir Terry Wogan and Helen Mirren to help persuade TV viewers aged over 75 to give up their free TV licences. In July, the BBC struck a deal with the government to shoulder the costs of providing free TV licences to the over-75s. The free TV licence will cost the government £468 million per annum by 2018-19. The government and BBC believe that many pensioners may agree to paying. The BBC have said that one other option would be to remove free TV licences if a person aged over 75 lives in a household with younger people in it. There will also be a review to see if the age of free licences should be raised above 75. 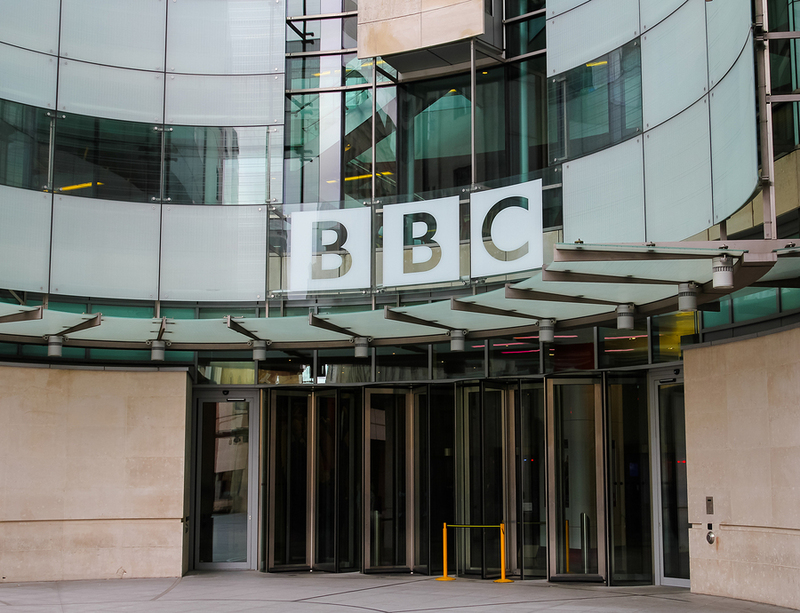 “The BBC has asked independent experts to advise on how to go about attracting voluntary contributions from over 75s when the government reduces its support,” said a BBC spokesman. What are your views on this new plan from the BBC and the government? Should all pensioners over 75 be entitled to a free TV licence? 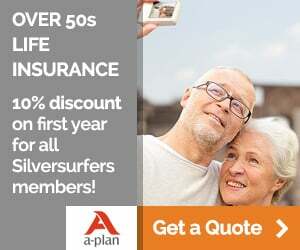 Would you consider offering to pay voluntarily if you are over 75? Do you know anyone who would want to opt back in to paying their licence fee? Do you love the BBC enough to pay £2.80 a week for your licence? Should it be means tested? The BBC should stand on its own feet. There should be no licence fee. It is about the only thing that you don't have to pay for as a senior citizen, hell no. I don't qualify for another 14 years so I doubt if this question will even be relevant when I come time to claim, if I make it that far. I could say at 94 years it is a real part of life, I also would say if the BBC cut out a good number of their top people it would be on a much better footing,they are not really necessary. Although I do not receive a free licence, I will not give it up if and when eligible, unless the bbc enable me to receive freeview. I have to pay a monthly subscription to sky if I want to see any television at all.Sort it bbc. I wasn't aware so many people liked watching adverts. Perhaps they prefer to pay to line Mr Murdoch's pockets and to hell with public service broadcasting. No I wouldn't be prepared to give up my free licence .... if I have money to spare I give it to my children , to help them . I don't really agree in paying for the tv licence by anyone nowadays with all the other pay for television services. At the end of the day if the BBC wants to encourage people to pay to watch their channels then they should show more original programmes & not so many repeats. There are other channels which show the older programmes as well as catch up tv etc. so there is no excuse for them to keep showing repeats, basically each time the re-show a programme we are paying twice for said episode. Why on earth should they? The programmes are repeats or rehashes. If the money was spent on quality programmes the question might be relevant but why should over 75s, a large of percentage of whom are on low incomes, pay the over inflated salaries of the BBC fat cats and so-called 'celebrities'. Although most of the BBC programmes are not to my taste I can get others which I like most of the time,l suppose as a 94 year old I take some satisfying. There are a lot of older people that don't need free TV licences or winter fuel payments, but it's up to them whether they accept or not, they then can not apply for free licence and send their fuel payment to charity, but please don't take it away from those that really need it. I will have been paying for TV licence far too many years to 'earn' the free licence at 75years. Maybe it is time that the BBC introduced adverts to earn extra money. I hardly ever watch the BBC. There's nothing much on for me,the local news and eggheads is about all. I would watch Question Time if it was on earlier, it's on late for me, so why should I have to pay. I agree with most of you, we have worked for our free TV. Kick out most of the presenters, stop sending them over seas to do shows that could be done in the studio. So I am not willing to pay for a TV licence. I have paid a TV Licence annually since 1965, and when I am 75 I consider I should be rewarded for my many years of payment. The BBC should ask the high proportion of Scottish and Northern Irish who do not pay the TV Licence to cough up. What makes you think that we don't pay a TV licence in Scotland, don't know about N Ireland.I have paid for a licence since since 1963 and now living on a tight budget find my free licence for the past 3 yrs a bonus. What 'high proportion' of Scottish/ We have to pay for a TV license here in Scotland. get your facts right before making such statements please. The BBC should be privatised. It's like a local authority council. Staff there are far too cushy. They are overpaid and rarely get the sack. The Beeb should take advertising and make their money that way, rather than by forcing us to buy a licence... to watch TV! A growing number of people are refusing to pay, and there is very little that the BBC can do about it, they have no right to enter homes and you don't have to answer their letters, or their questions. The Australians refused, en masse, to buy the TV licence, and it was abolished. However, I suspect that the Great British public are too lily livered for civil disobedience. I also suspect that many thousands of the over 75's will offer to pay up! Not sure about the lilly livered-just think the Brits are very laid back unless REALLY provoked!! From a 100% example of a Brit! Maybe the managers at the Beeb could each pay for a couple of hundred pensioner's licences out of their undeservedly large salaries ,they would still have plenty of money left ,unlike most over 75's. Haven't reached the age for free licence and am looking forward to a small freebie. Maybe BBC should pay less to their presenters etc. I find this obscene the BBC is an out of control organisation economically wasting money .The huge waste on that building in Salford plus the new dreadful programme starring Dermot O Leary all the contestants are flown to and from South Africa , why ? The BBC is politically very left wing ,last night on the news ,there was a piece on male ballet dancers ,but they twisted the story to make it racial ! What if we had a 50% discount? No I would not give up my free TV licence, there is very little worth watching anyway ! I feel the BBC should look at their outgoings more closely. The obvious over staffing of many programmes would be a good start. For example the morning breakfast show on BBC 1 has become a joke,with far too many 'presenters' delivering a show of deteriorating standards. As for bringing in the likes of T Wogan and H Mirren. Will they be making their appeals gratis or will there be another nice little payout? I'm not 75 yet, but would be prepared to pay for my tv licence now that the bbc has to fund this. In my opinion, the majority of the programmes produced by the bbc are of high quality and are not spoiled by the constant interruption of commercial breaks as those on the independent channels. I must admit that I much prefer the BBC both tv and radio. But it is the government that is causing this to be discussed not our Beeb! This poll is flawed. ie 2 questions which could require different answers. In my case, YES pensioners over 75 should have free licence and NO I would not offer to pay voluntarily. Which button should I press, YES or NO? Yes you are absolutely right, and thank you for spotting it. The question is: Would you be prepared to give up your free TV Licence? I think this is totally outrageous. The BBC should start by stopping paying so many of their so called top executives huge amounts of money. In the papers last week they had some woman who they had let work from home earning about £300k a year and they she was going to have a pay off as well-ridiculous. They should not be penalising OAPs especially people in their 70s and 80s. Come on Auntie Beeb look after the same generation that created you!!!!!!! I am 88 yrs old a widow of 13 yrs.I am unable to walk very far even with my stick due to a deterioration of my spine and breathlessness. I am diabetic/2 and am suffering with atrial fibulation (heart), I had a stroke 3 years ago. I live in my own home and take my own blood tests. Because of my heart problem I take Warfarin and have to have blood tests every 6 weeks, for a few years the tests were done by a district nurse but due to NHS cutting down I was told if I could get in and out of a car I must make my own way to the surgery This I have to pay for. So what I am saying is PLEASE DO NOT TAKE AWAY the Licence allowance people like me need. I live in France and for a reasonable fee, would pay to be able to view the BBC iPlayer. Reading posts online from other expats, I know there are many like me who feel the same, and this would bring in money to the BBC pot. I cannot see what the problem is and why the BBC stop anyone outside of the UK from accessing the iPlayer service. They say it is for licence fee payers only, but if, as they say, they are strapped for cash, then this has to be a winner. What I would suggest as a Brit is "compromise". If people want to pay towards it they can and let them pay a percentage of their choosing. If they don't want to pay for it fine. However many many people in the UK don't have too much money at this age and that includes my parents who have worked all their lives and enjoy the TV. We need to be VERY careful that old and vulnerable people who depend on on their TV programmes for entertainment are not worried by this new move. Oh crumbs I hadn't even thought of my ex mother-in-law who I am very fond of. She is 90 in July, diabetic and has pins in her spine so never wants to go out. Her tv is her only company and she talks to it and argues with it since her husband died. Why on earth should she have to pay at her age. The wealth in this country is on unevenly spread. I think you are right and it will also upset a lot of old folk who will feel pressurised into it!